Step 1: For jerky, beef is the ideal. The quality of beef’s meat helps to produce tasty snack items. 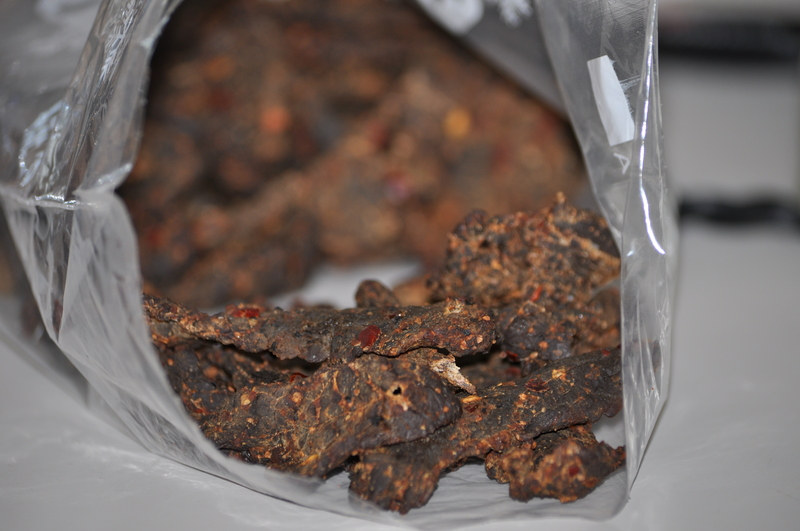 Although jerky can be made from turkey, moose, salmon or deer but beef jerky is arguably the best of the lot. Step 2: Excess fat spoils the taste of beef jerky. So it needs to remove the fat elements. After that, the meat is cut into strips of 1.5 mm size. Step 3: The next step is to marinate, which is a vital aspect of such preparation. A preparation is being made with vinegar, olive oil and sea salt. Beef strips are put in that solution as a part of margination process. Then the pieces are kept in the refrigerator for nearly 12 hours. There is a section of people who add beer, honey, pepper and caster sugar. Step 4: This is one of the most vital steps in beef jerky preparation. Herbs and salt are sprinkled over the meat along with coriander, pepper, salt, ground chipotle. In addition, clove or cumin or oregano are given in the item to make it tastier. Step 5: This is the main step to prepare the beef jerky. The stripes are dried in the oven by keeping a reasonable distance between two pieces. Step 6: The beef jerky strips are kept in a glass jar to make it tasty. This is the way of preparing a tasty beef jerky.